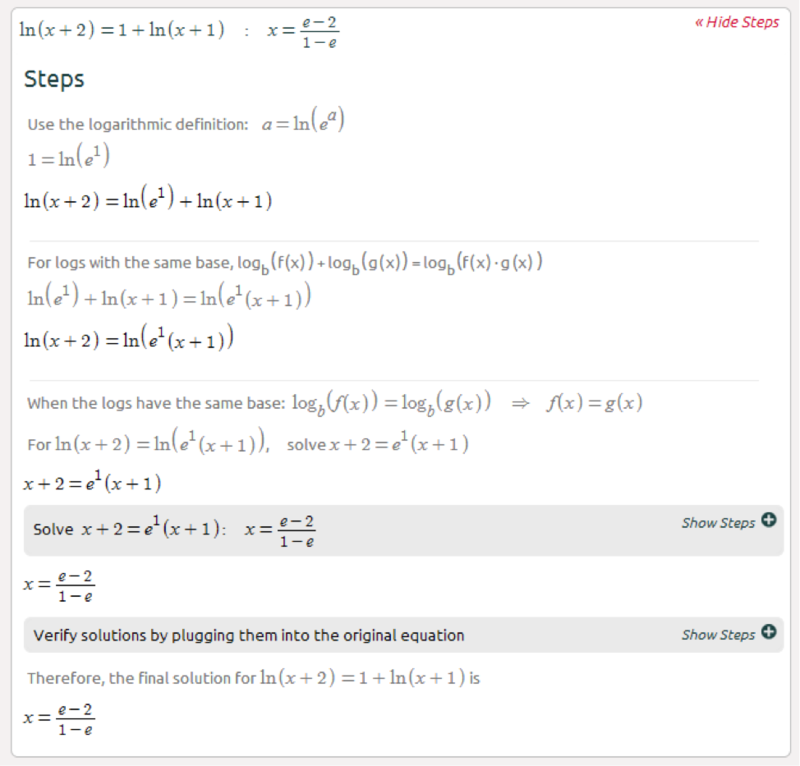 Logarithmic equations are equations involving logarithms. In this segment we will cover equations with logarithms with the same base; logarithms with different base are much harder. 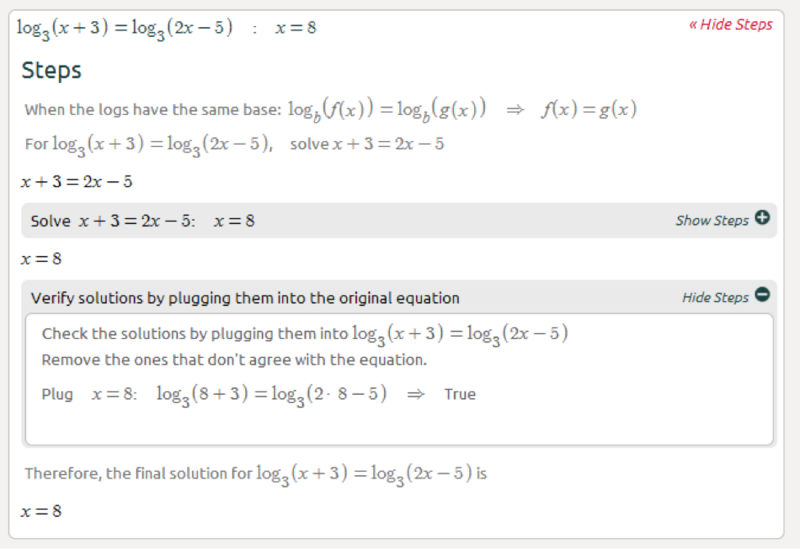 To solve logarithmic equations first manipulate the equation to have one log with the same base on each side so you can drop the logs (the only way two logs can be equal is if their arguments are equal). Then solve the linear or polynomial equation (we know how to do that). 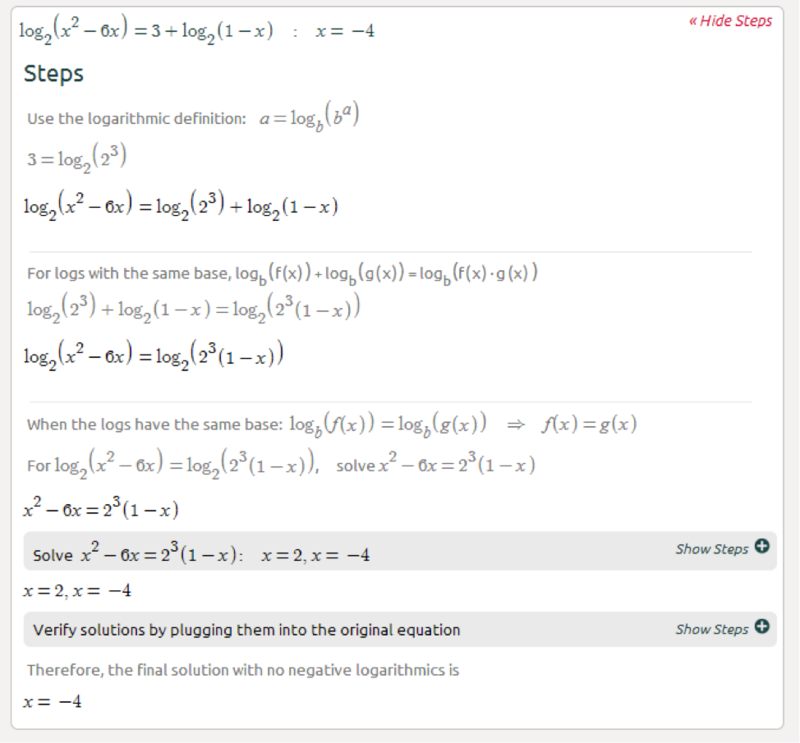 The tricky part is that you have to check the solutions by plugging them into the original logarithmic equation (you can’t take logs of negative numbers). More examples of Logarithmic Equations. Here are some tips on making a friendly class for you guys to read. Check them out now!